Photo: A man prays during a vigil in Hagley Park following the March 15 mass shooting in Christchurch, New Zealand, Sunday, March 24, 2019. 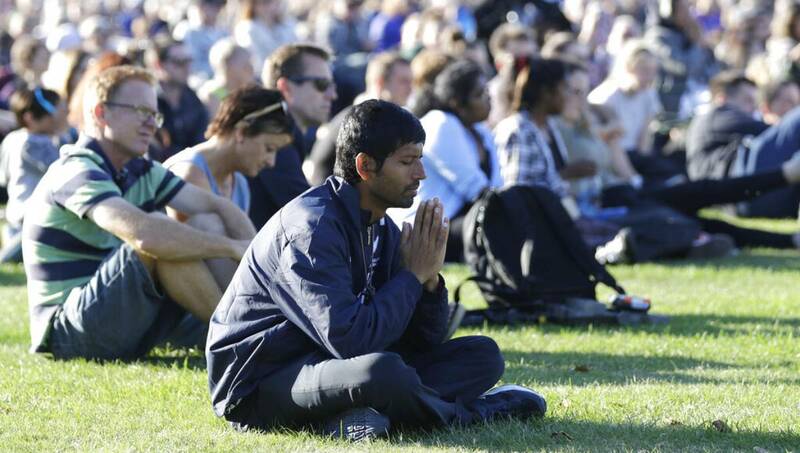 New Zealand, Mar 24 : Thousands of people have gathered in the New Zealand city of Christchurch to listen to prayers, songs and speeches at a vigil to remember the 50 people killed in a terrorist attack on two mosques. Officials estimate up to 40,000 people attended the event on a sunny Sunday evening at Hagley Park. It was held on a stage that had been set up for a concert by Canadian singer Bryan Adams that was cancelled after the attacks.